The Permanente Federation LLC (the Federation) is the national leadership and consulting organization for the eight Permanente Medical Groups (PMGs), which, together with the Kaiser Foundation Health Plans and Kaiser Foundation Hospitals, comprise Kaiser Permanente. The PMGs employ more than 22,000 physicians and approximately 90,000 nurses and other clinicians, and they provide care to over 12.2 million Kaiser Permanente members. 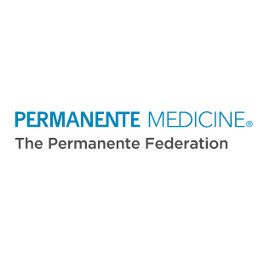 The Federation works on behalf of the PMGs to optimize care delivery and spread Permanente Medicine – medicine that is patient centered, evidence based, technology enabled, culturally responsive, team delivered, and physician led. The Federation, based in Oakland, California, fosters an open learning environment and accelerates research, innovation, and performance improvements across the PMGs to expand the reach of Kaiser Permanente’s integrated care delivery model and to lead the nation in transforming care delivery. Learn more about the benefits of a Health Institution/Nonprofit Organization Membership.